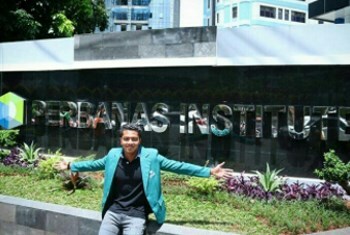 On 6th September 2017, Perbanas Institute awarded a full scholarship to undergraduate student and Southeast Asian Games (SEA) gold medallist, Mr I Gede Siman Sudartawa, at a ceremony held at its campus in Jakarta. Currently studying Management at the institute, Mr Sudartawa achieved gold in the men’s 50-meter backstroke — breaking the SEA Games record for the event — as well as 2 silver medals and 1 bronze medal. Present at the award ceremony was Prof. Dr. Ir. Marsudi Kisworo who reiterated Perbanas Institute’s renowned reputation for producing professional athletes that have competed on the international stage. As one of Indonesia’s leading institutions specialising in banking, finance and information technology, Perbanas Institute also places a large emphasis on non-academic fields such as arts, culture, and sports; as evident from the number of awards received for basketball, futsal, choir, badminton, and national debate competitions. As such, by awarding scholarships to athletes, the institute showcases its capacity to provide students with the opportunity to combine their academic interests with extracurricular activities, and thereby offering the widest perspective on their future profession.